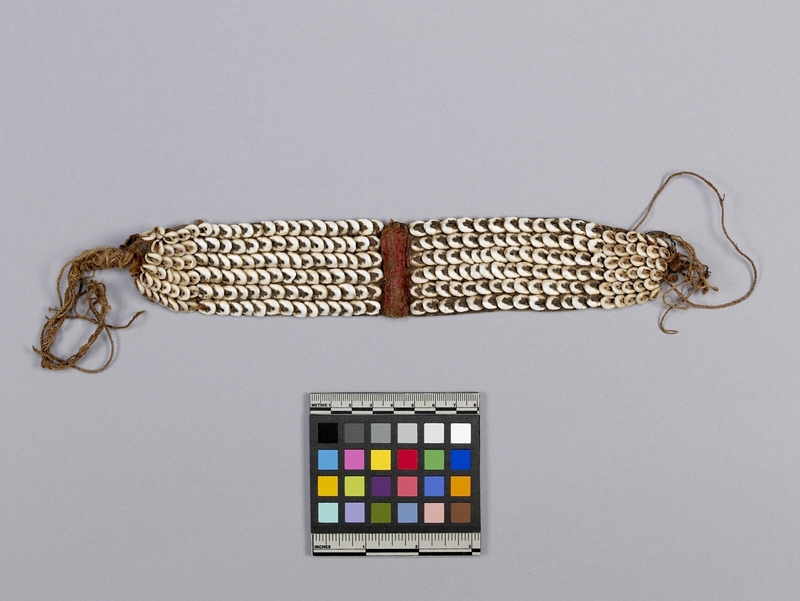 Item number Ie342 from the MOA: University of British Columbia. 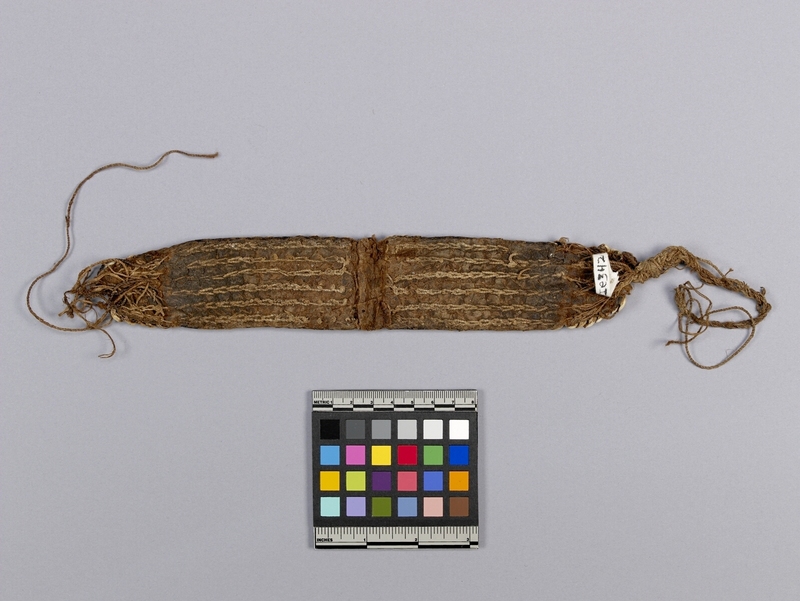 A headband of several layers of beaten bark, on the outer surface of which, there have been sewn six parallel rows of white nassa shells on the longitudinal axis of the band covering it. The shells overlap slightly and face the centre of the band. At the centre, there is a transverse strip of bark 1.5 cm. wide on which there are no shells, but which is coated with red paint. The band is an elongated oval in shape. Fragments of bark twine remain tied to ends . Shells near ends of band are smaller and more yellow. Worn by men for self-decoration. Head-band metaphorically represents wealth objects in general, and also human males in their reciprocally exchanging aspects.